Fantastic Beasts tops the Box Office after it’s opening weekend. With three new films out last weekend, it’s time to take a look at which movies are doing the business at the Box Office. Fantastic Beasts: The Crimes Of Grindelwald, Instant Family and Widows were all released on 16th November and have contrasting starts at the Box Office. Find out the top five films below. The second instalment of the Fantastic Beasts franchise was released on Friday and has already smashed it’s mega $200,000,000 budget by taking a whopping $253,200,000 worldwide in it’s opening weekend at the Box Office. 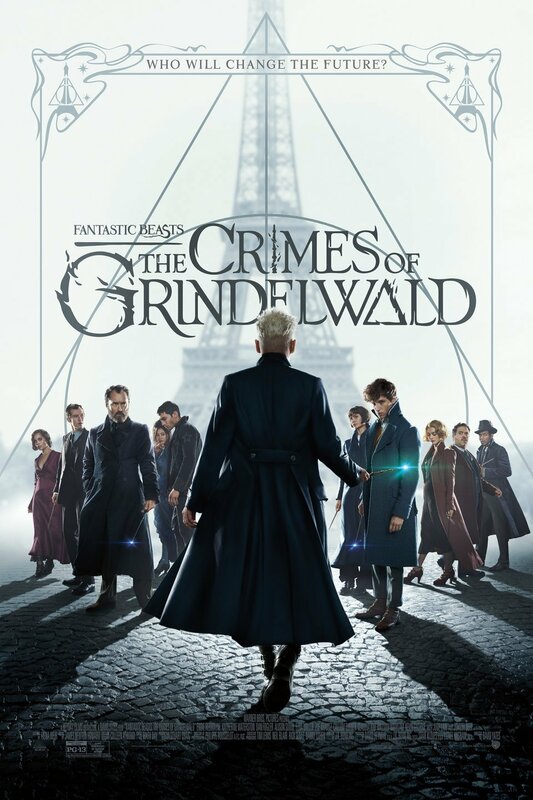 Fantastic Beasts: The Crimes Of Grindelwald follows magical zoologist Newt Scamander (Eddie Redmayne) on a quest given to him by Albus Dumbledore (Jude Law) to help thwart the evil Gellert Grindelwald’s (Johnny Depp) plans of raising pure-blood families to rule over non-magical beings. However, despite the huge takings in it’s first weekend, the film has really split audiences, with some loving the Harry Potter references, and in some cases, characters and others feeling let down by JK Rowling’s writing, feeling that there seems to be no consistency with the Potter world that we all love. The main issue with hard-core Potter fans seems to be the emergence of a younger Professor McGonogall, who in Fantastic Beats: The Crimes Of Grindelwald is already teaching at Hogwarts, despite the events in the film taking place 8 years before she was born, if the timeline matches up in the Potter world the way they should. Others have claimed that the film is written like ‘fan fiction’ with Twitter user @ucheobidi saying “So messy, overstuffed and written like fan fiction. I seriously can’t believe this is what Rowling has done to her own universe”. Fantastic Beasts: The Crimes Of Grindelwald has certainly divided Harry Potter fans but it looks set to stay at the top of the Box Office given it’s impressive opening weekend. The Grinch has had a fantastic couple of weeks at the Box Office, bringing in $39,000,000 this weekend, taking the total worldwide gross to over $150,000,000. The animated family comedy of the grouchy, green Grinch who hates Christmas has more than doubled it’s budget and has proven to be a popular reboot of Dr Seuss’ classic Christmas tale. Voiced by Benedict Cumberbatch and narrated by Pharrell Williams, The Grinch has clearly been aimed at a new younger audience and despite receiving mixed reviews from critics, fans seem to be really enjoying Illumination’s version of The Grinch Who Stole Christmas. Of course, it’s a tough act to follow the beloved Jim Carrey version of The Grinch, which was released 18 years ago (I know, just let that sink in for a second) but after a very impressive few weeks at the Box Office, maybe this could become the next generation’s Christmas classic. Queen and cinema fans are still absolutely loving Bryan Singer’s take on the incredible story of Freddie Mercury’s rise to prominence in Bohemian Rhapsody with the film taking $16,000,000 this weekend, bringing the worldwide gross of the film to a huge $354,000,000 at the Box Office. Sean Anders comedy-drama has seen a disappointing opening weekend, taking only $14,700,000 this weekend against a budget of £48 million. Starring Mark Wahlberg, Octavia Spencer and Rose Byrne, the film is about a couple who find themselves in over their heads when they adopt three children. The film is partly based on Anders’ own experiences with adoption and marks the third collaboration between Wahlberg and Anders following Daddy’s Home 1 and 2 and now Instant Family. The comedy drama has received good reviews, with critics praising the writing and touching upon the difficult subject of adoption and currently holds an 80% approval rating on Rotten Tomatoes. One of the most surprising outcomes at last weekend’s Box Office was the low takings of Steve McQueen’s latest crime-drama Widows. Despite incredible reviews and a stellar cast including Viola Davis, Michelle Rodriguez, Daniel Kaluuya and Liam Neeson, McQueen’s story that follows four women who have nothing in common except a debt left by their dead husbands, following a Police shootout in Chicago has had a poor opening weekend, taking just over $19million at the weekend against a budget of $42 million. The film currently holds a 91% rating on Rotten Tomatoes and given the review and the cast, Widows will surely find itself climbing up the Box Office charts as the weeks go by.